Though much of the attention to end the opioid epidemic is centered on the improper use of opioids in the community (misuse, diversion, etc), the truth is that opioid harm exists across a continuum of care. The safe use of opioids begins with the safe use of opioid analgesics in the hospital setting and the prescription of opioids upon discharge of the patient from a healthcare facility. We must first and foremost make sure that opioids provided to patients are done so in a safe manner both during administration and upon discharge. Though much of the attention on opioid-related harm is centered on the improper use of opioids in the community (misuse, diversion, etc), the truth is that opioid harm exists across a continuum of care. The safe use of opioids begins with the safe use of opioid analgesics in the hospital setting and the prescription of opioids upon discharge of the patient from a healthcare facility. We must first and foremost make sure that opioids provided to patients are done so in a safe manner both during administration and upon discharge. To gauge whether clinicians would answer this call and how clinicians and the public felt about the Surgeon General’s recommendations to fight the opioid epidemic, the Physician-Patient Alliance for Health & Safety (PPAHS) conducted a survey of our readers (most of whom are clinicians, hospital executives or risk managers) to examine perceptions about the Surgeon General’s appeal to physicians to play an active role in stemming the opioid epidemic. The survey results highlight that the majority of doctors and clinicians agree with the Surgeon General’s letter, with 7 in 10 respondents having, or will, take the pledge. However, respondents were divided in what has caused the “opioid epidemic”; while over-prescribing of opioids and an overly aggressive emphasis on pain treatment were popular choices, a significant percentage (35%) chose to indicate other reasons. What was clear was the sentiment that doctors, rather than government or communities, should be the captains leading the efforts to curb opioid harm. In order to do so, respondents indicated that an expanded toolset, comprised of educational and screening resources, was needed. The second step is to answer this call by providing clinicians with the necessary tools and information they need to make informed and safe treatment recommendations. What might be contained in these tools and information? For information that should be provided to clinicians, please see steps three, four, and five below. The third step in achieving this more balanced approach is to consider other pain management alternatives before immediately prescribing an opioid and to make sure that physicians have the tools that they need to prescribe appropriately. The guideline strongly advises use of multimodal anesthesia that target different mechanisms of actions in the peripheral and central nervous systems. Randomized trails have shown that multimodal anesthesia involving simultaneous use of combinations of several medications — acting on different pain receptors or administered through different techniques — are associated with superior pain relief and decreased opioid consumption compared with use of a single medication administered by one technique. Advising a long-acting local anesthetic to delay onset and severity of postoperative pain. Carefully documenting instructions for patient pain management. Accessing state prescription drug monitoring programs as required. The fourth step is monitor all patients receiving pain medications, and particularly opioids, to ensure that these patients are safe. Unfortunately, the AAOMS guidelines fail to discuss the need to monitor to ensure that all patients receiving sedatives or opioids are safe. This is, I believe, a major oversight. Appropriate and balanced prescribing must be accompanied with adequate monitoring; otherwise, it would be like telling someone to put a parachute on before jumping out of the plane, but not making sure a parachute was actually worn. Both are necessary. The fifth step is to make sure that patients understand physician-recommended treatments. How do I take my medications and for how long? Do I need any tests and when do I book my next visit? To download the 5 Questions to Ask about your Medications, please click here. The attention given to the opioid epidemic has resulted in a negative-opioid prescribing environment. However, it must be remembered that there are some patients and medical procedures that require the use of opioids and that when this happens we need to make sure that these patients receiving opioids are adequately monitored to ensure their safety. 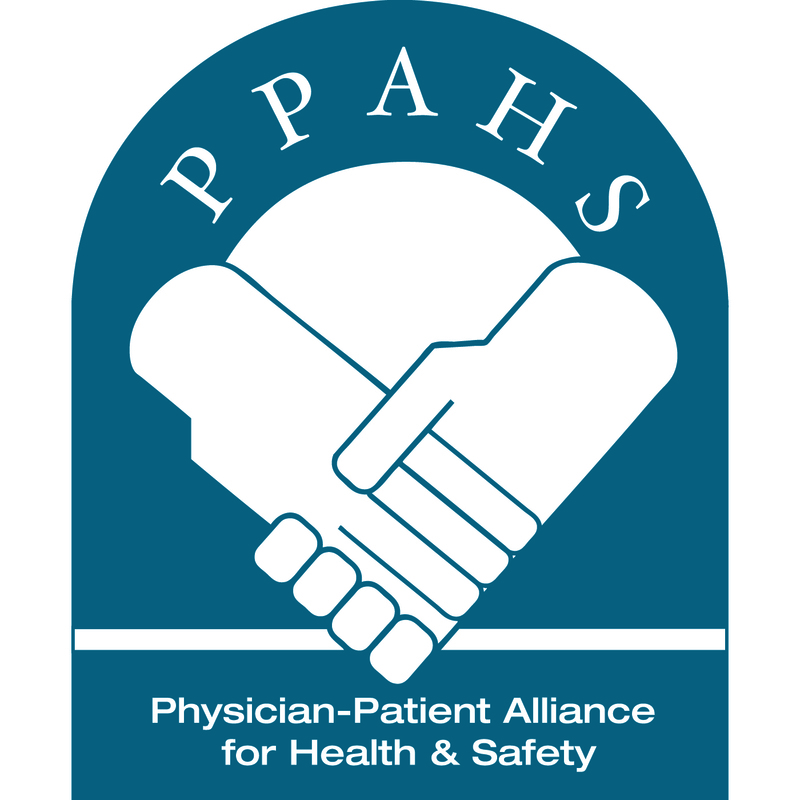 The Physician-Patient Alliance for Health & Safety recommends that all patients receiving opioids should be monitored with pulse oximetry for oxygenation and with capnography for adequacy of ventilation.